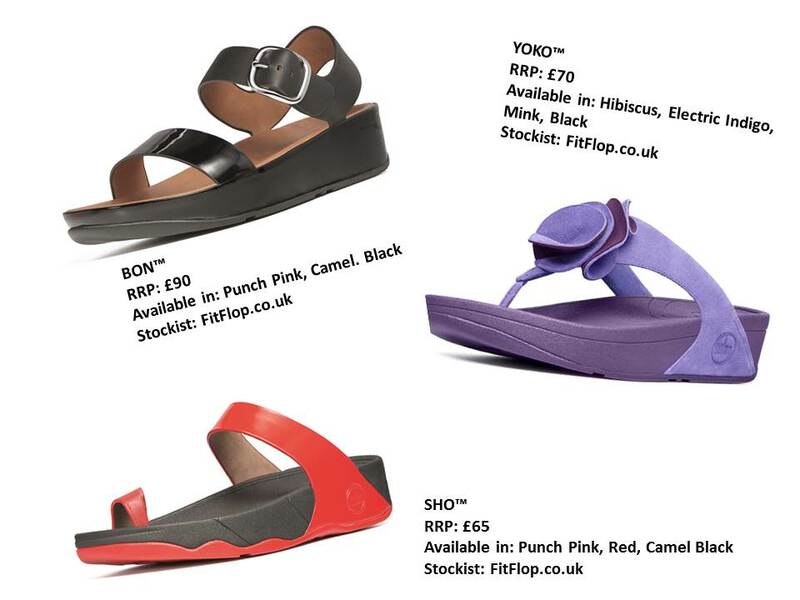 Fitflop have some amazing pieces, the brand ethos is about comfort for your feet. I absolutely love their summer collection. If you’re looking for a classic sandal and don’t like straps between your toes then BON™ is the perfect shoe for you, with a classy leather sole and buckle that goes around the ankle they are perfect for everyday use. If you’ve been inspired by the ruffles, florals and feminine cool this season then the New YOKO™ is perfect for feet flirting. It has sculptural suede petals, giving you that feminine chic look with the added advantage of a slip on and off shoe, so no bending down to fuss over buckles! The Asian inspired SHO™ sandal, is one of the most revealing pieces in the collection. I love the way it exposes most of the foot in an understated cool way. Perfect for showing off your summer tan and pedicure.